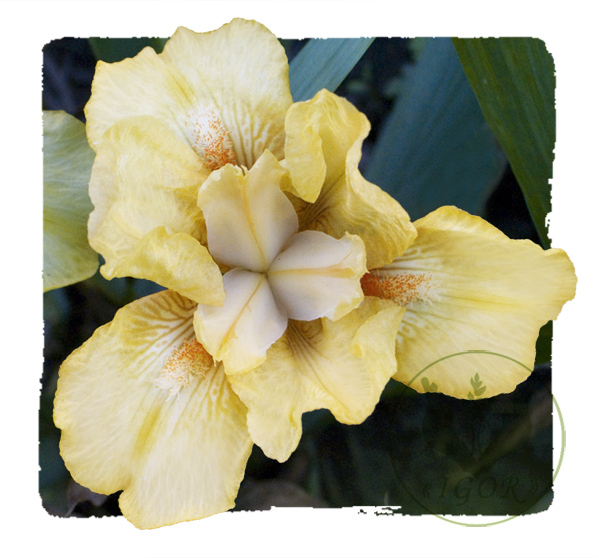 Height: 6" ( 15 sm ). 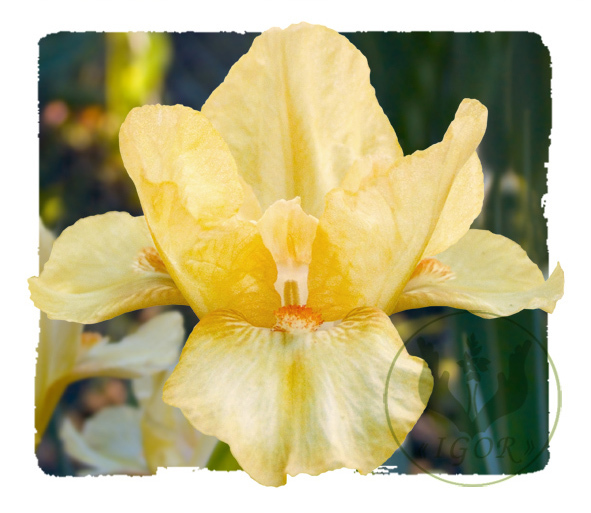 S. and F. orange yellow ( RHS 15B ); style arms orange yellow; beards red; lightly ruffled; slight sweet fragrance. 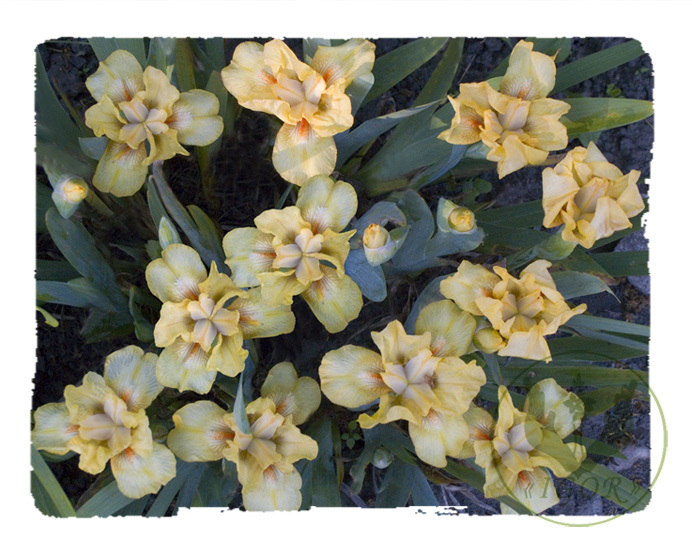 Seedling # IXM-011403: parentage unknown. 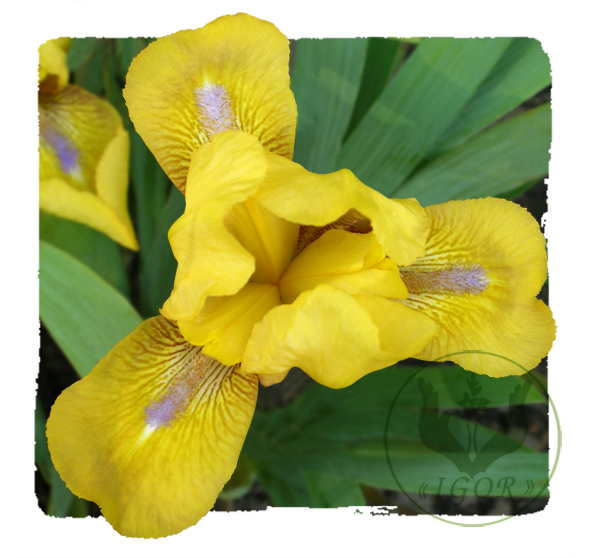 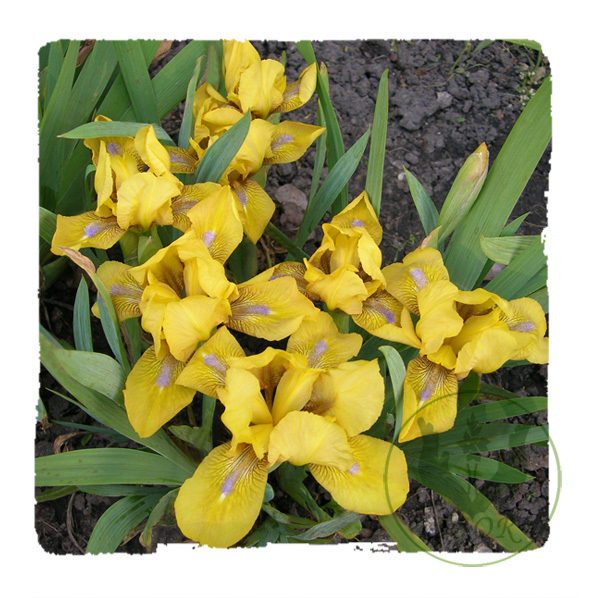 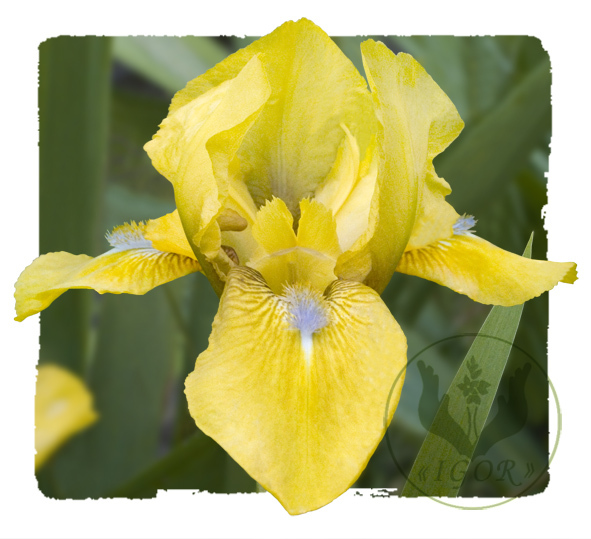 Yellow ( RHS 12A ); style arms yellow; beards pale blue; lightly ruffled; slight sweet fragrance.